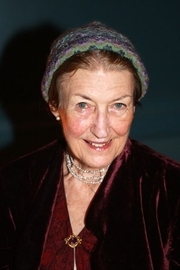 Shirley Hazzard has 2 media appearances. Shirley Hazzard's new book The Great Fire, has been described as brilliant, hypnotic, sublime and the most interesting novel published this year. It's a love story set just after the end of the Second World War and is drawn partly on Shirley's own experience as a sixteen year old working for British Intelligence in Hong Kong in the late forties. The Northshire Women Read group will meet at The Inn at Manchester on Monday November 11 at 6pm for a discussion of The Transit of Venus by Shirley Hazzard. This Australian classic - The Transit of Venus - follows the lives of two Australian orphans, Caro and Grace Bell, who move to England in search of a better life. It’s a heartbreaking tale of unrequited passionate longing. Michelle De Kretser will talk about her love for Shirley Hazzard’s masterpiece. Shirley Hazzard is currently considered a "single author." If one or more works are by a distinct, homonymous authors, go ahead and split the author. Shirley Hazzard is composed of 5 names. You can examine and separate out names.